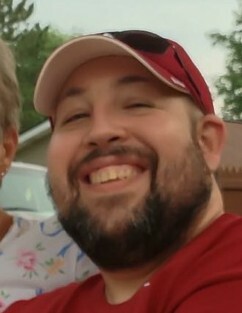 Kevin Michael Durham, 45 of Ellettsville, Indiana died peacefully, surrounded by family and friends on July 26, 2018. He was born on August 29, 1972 and was a 1990 graduate of Edgewood High School. He was previously employed at the People's State Bank. Anyone who knew Kevin saw him as a kind, gentle soul with an infectious smile that lit up the room. Some tell stories of his competitive spirit on a softball field, while others share memories of him contently watching a bluebird on its morning perch. Most of our memories, though, center around his love and adoration of his family, his loyalty to his favorite sport teams and his tireless and unfailing camaraderie to a childhood friend. As Kevin sustained fight during an extended battle with a difficult, unpleasant disease and other life altering health issues, he appreciated the familiar feel of his Dad's hands rubbing his tired and weary legs, and he looked forward to his Mom's long, warming embrace and good morning kiss. Kevin held fast to courage because he was a simple man full of love, dignity and grace-and those character traits helped him conquer the world. Kevin is survived by his parents, Charles "Mike" and Lana Lavender Durham; one brother, Jeremy Durham; paternal grandfather, Charles Durham; aunts and uncles, Bob (Joanie) Durham, Gloria (Jack) Fritsch, Troy (April) Lavender, Dennis (Linda) Lavender and Teresa Lavender. He also leaves behind many cousins and close friends that he loved dearly. He was preceded in death by his paternal grandmother, Norma (Sexton) Durham; maternal grandparents, Harry and Berniece (Baugh) Lavender; uncle, Ricky Durham and 2 cousins, Seth Lavender and John Lavender. The Durham family wishes to thank Dr. Mark Dayton and all his staff for the love and compassion that they have shown through the years. A memorial service will be held on Thursday, August 2, 2018 at Chandler Funeral Home at 7:00 p.m. with the service officiated by Richard Dillman. Visitation with the family will be on Thursday from 2:00 p.m. until time of services. In lieu of flowers, donations to the American Cancer Society PO BOX 22478, Oklahoma, OK 73123 or the IU Health Hospice House 2810 S. Deborah Drive. Bloomington, IN 47403 would be appreciated.